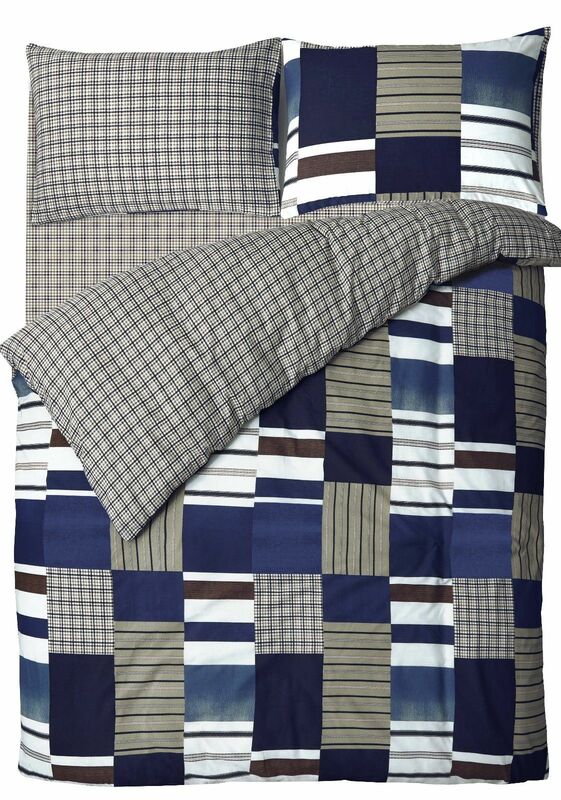 This reversible bedding has been designed to create that stylish contemporary look. Carefully created in a fine quality polyester & cotton mix fabric. 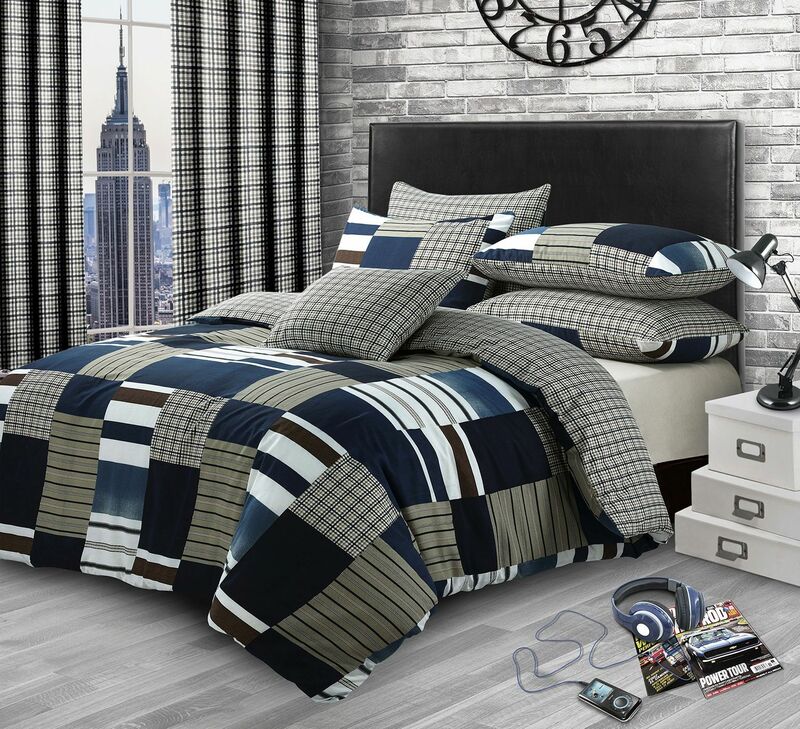 Beautiful colourways, features denim style print with array of stripes and squares throughout the duvet cover and pillowcases. It will add timeless style to any bedroom. a simply value for money product. Each duvet set comes with pillowcases..